Tom Goldstein is an appellate advocate, best known as one of the nation’s most experienced Supreme Court practitioners. He has served as counsel to one of the parties in roughly 10 percent of all of the court’s merits cases for the past 15 years (more than 100 in total), personally arguing 42. Only three lawyers in the court’s modern history have argued more cases in private practice. He has been counsel on more successful petitions for certiorari over the past decade than any other lawyer in private practice. Over the past 15 years, the firm’s petitions for certiorari have been granted at a higher rate than any private law firm or legal clinic. Perhaps more than any other advocate in practice, Tom represents the complete spectrum of litigants before the court; his work is not associated with any particular perspective or ideology. For example, as arguing counsel, Tom has prevailed on behalf of bond purchasers, corporate civil defendants (three times), corporate civil plaintiffs (three times), a debtor, employees (twice), a habeas petitioner (three times), an immigrant, investors, an individual civil defendant, an individual criminal defendant, a local government, persons with disabilities and shareholders. Tom’s representations span virtually all of federal law. For example, as arguing counsel in the court, he has prevailed in cases involving arbitration, bankruptcy, civil procedure (twice), disability law, employment discrimination (twice), the Fourth Amendment (twice), free speech (three times), habeas corpus (three times), immigration, labor, securities (twice) and trademarks. Tom also serves as counsel in particularly significant cases in the courts of appeals. For example, he presently serves as lead counsel for most of the nation’s principal retailers in an appeal from the U.S. Court of Appeals for the 2nd Circuit of the second-largest class action settlement in history. Tom also represents a number of different corporations in patent-related matters in the U.S. Court of Appeals for the Federal Circuit. 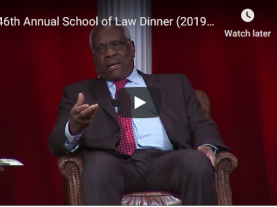 In addition to practicing law, Tom has taught Supreme Court Litigation at Harvard Law School since 2004, and previously taught the same subject at Stanford Law School for nearly a decade. 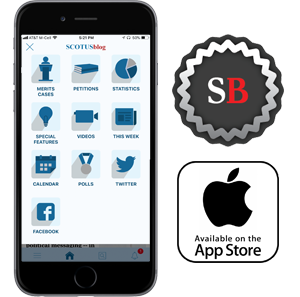 Tom is also the co-founder and publisher of SCOTUSblog – a website devoted to comprehensive coverage of the Supreme Court – which is the only weblog ever to receive the Peabody Award. Tom is involved in a variety of professional organizations. Among other things, he is a member of the American Law Institute, secretary-elect of the American Bar Association’s Labor and Employment Section, vice chair of the Amicus Committee of the ABA’s Intellectual Property Section and an elected fellow of the Academy of Appellate Lawyers. Tom previously practiced at Akin, Gump, Strauss, Hauer & Feld, where for a time he served as the principal co-chair of the firmwide litigation practice. Early in his career he was an associate at both Boies Schiller and Jones Day Reavis & Pogue. He clerked for Judge Patricia Wald of the U.S. Court of Appeals for the District of Columbia Circuit.